Swedish designed and built, the exterior and interior condition of this yacht belies its age. It appears obviously cherished through its life. We believe this was one of the last of the marque to be built. The last passages of the late owner were across the North Sea and a circumnavigation of the UK. This yacht features a self-tacking headsail as well as a full suite of other sails and a cockpit enclosure. A very practical chart table, large dining area, spacious heads with access from both saloon and forecabin, six can sleep in comfort. 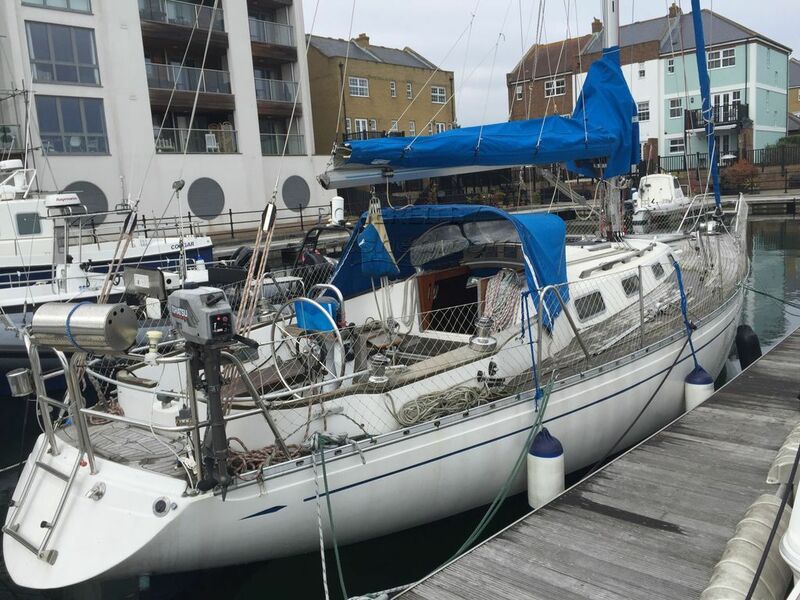 It all adds up to a very appealing boat that seems ready to sail away on her next adventures. This Crown OE 36 has been personally photographed and viewed by Dan King of Boatshed Brighton. Click here for contact details.